Gary and His Demons is a 10 minute animation television series, which kicked off on April 15, 2018, on VRV Select and is broadcast every Sunday at . The show is currently in its 1st season. VRV Select is yet to announce the renewal of Gary and His Demons for Season 2 as well as its cancelation. Sign up to track down the show's status and its release date. 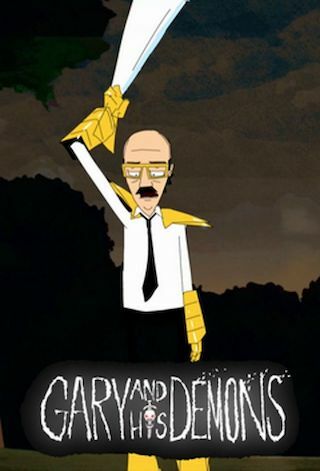 Gary & His Demons is an animated comedy that centers around 45-year-old Gary. He's tired. His hairline is receding, he wears horn-rimmed glasses and he's just chased his final demon before his long-overdue retirement. But Gary soon discovers that his boss has again failed to find his replacement and Gary will be forced to keep fighting demons for eternity. But nothing can change Gary's fate. He's the chosen one, whether he likes it or not.